Install DipTrace on your laptop. See the Olin instructions here. Install the Windows version of LTSpice on your laptop. Download here. Get the DipTrace Tutorial PDF file. Complete the schematic and layout tutorial, pages 1 through 79. Complete a transient simulation of the "Astable Flip Flop" in LTSpice. 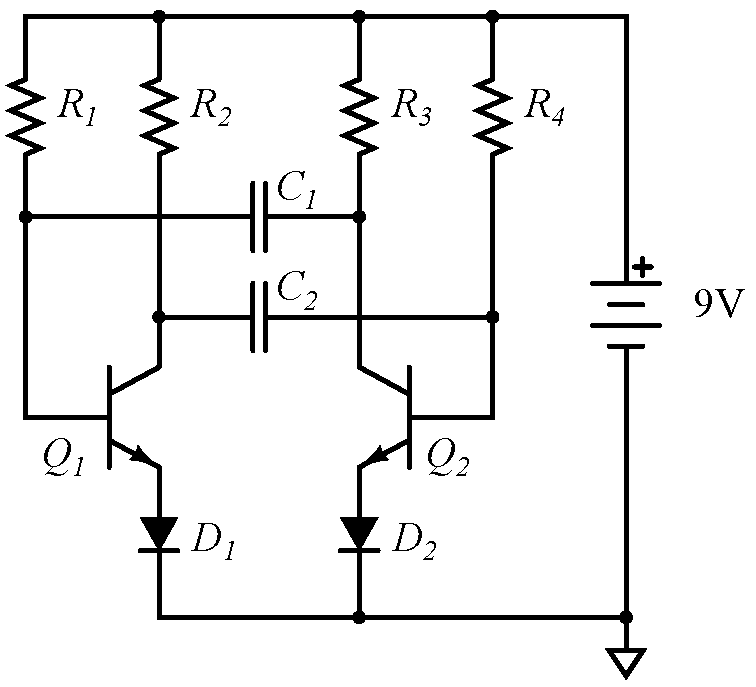 Plot the current in the LEDs over a ten-second period. Minimize the size of your PCB layout to save space. Less than two square-inches is the goal. Produce Gerber files for your design and submit them to OSH Park for fabrication. This assignment is the whole class in a nutshell. 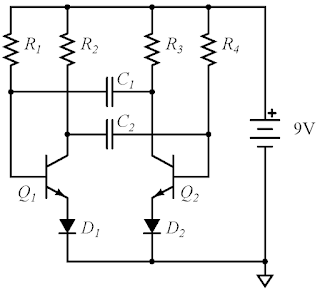 Note that the ground connection isn't strictly necessary, since this circuit is battery powered, but its inclusion will improve the convergence of your LTspice simulation.